Here in the UK many of us have been well and truly awakening from the slumbers of Winter to embrace what is becoming an exceptionally mild Spring. My friends in the capital (London) and the Southeast corner are typically the first to feel the benefits of warmer temperatures as Spring fever takes hold and everyone, or at least most of us, heads outdoors - it's our prerogative as human beings, right? Talking of natural instincts, the gardeners amongst us will already have been hard at work preparing and tending to their very own gardens of Eden, however big or small. 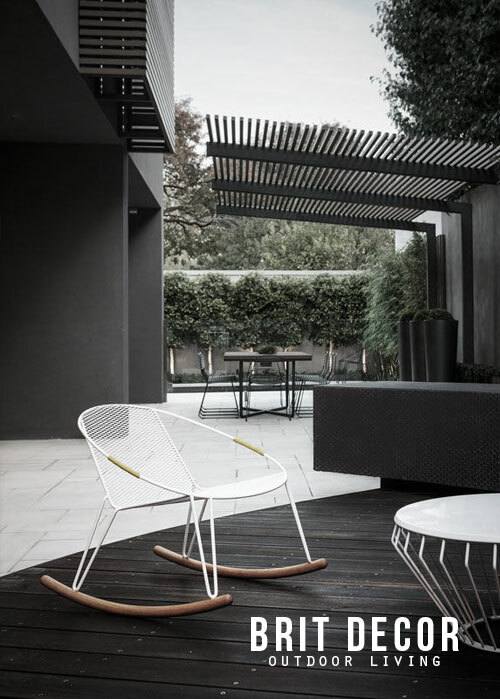 In tandem with this very practical side to outdoor life, for the style-conscious amongst us, there's also the uber-important issue of aesthetics as we look ahead to those Al Fresco moments and the indulgence of affording the time for a moment (or two) of lounging in the sun. For those of us who have access to outdoor space at home, whether it's a balcony, courtyard or full-on estate, now is the perfect time to re-assess how this area will be used over the Summer months. The first question to ask is what will the primary focus of my outdoor experience be? For some, it's all about horticulture and creating an oasis of style through planting, whilst for others there may need to be a more practical focus with, for example, a child friendly scheme. And then there's outdoor entertaining which will often require some kind of seating and a table. Once you are clear about your needs, it's much easier to decide upon and deliver the style-factor. 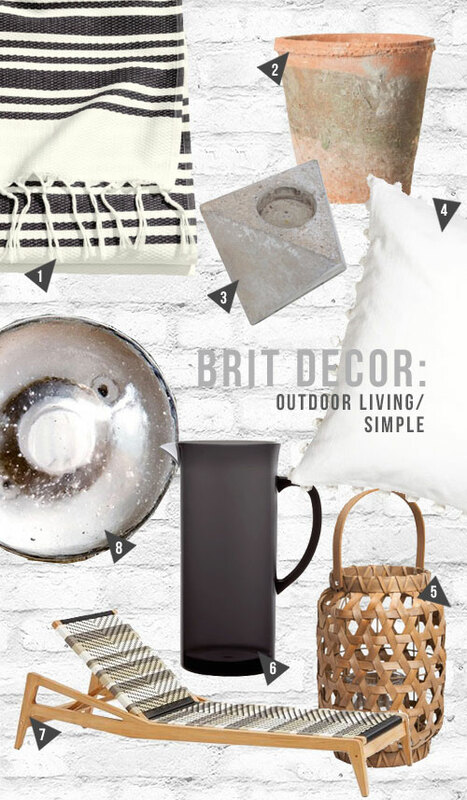 In the first part of a series of features on Brit Decor, I will be focussing on some of the latest style-trends for outdoor living this Summer, beginning with today's 'Simple Style' for that raw natural look - with an edge!